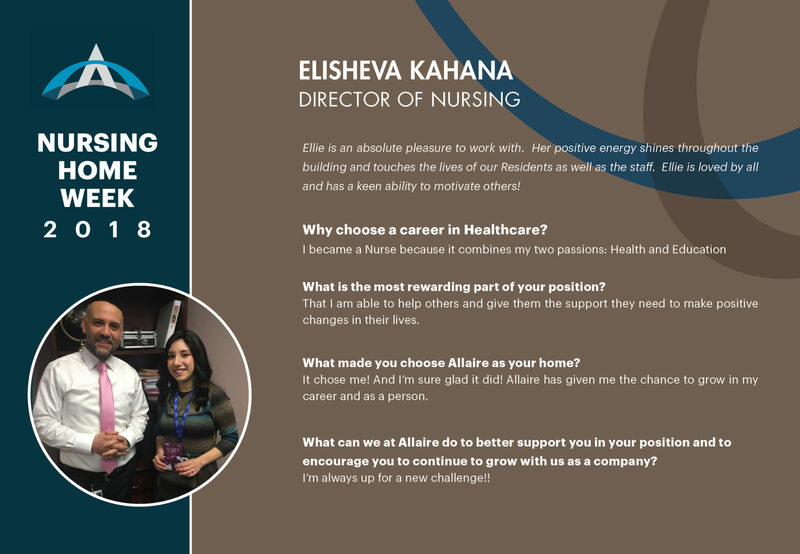 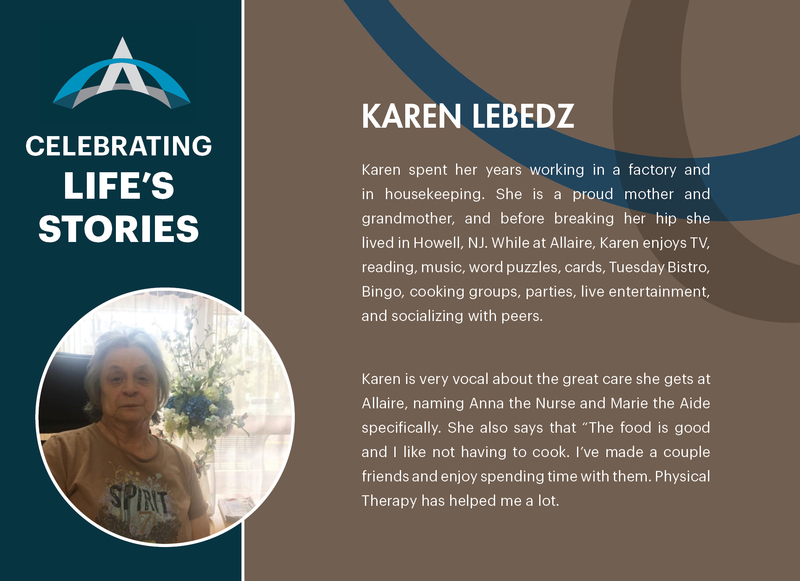 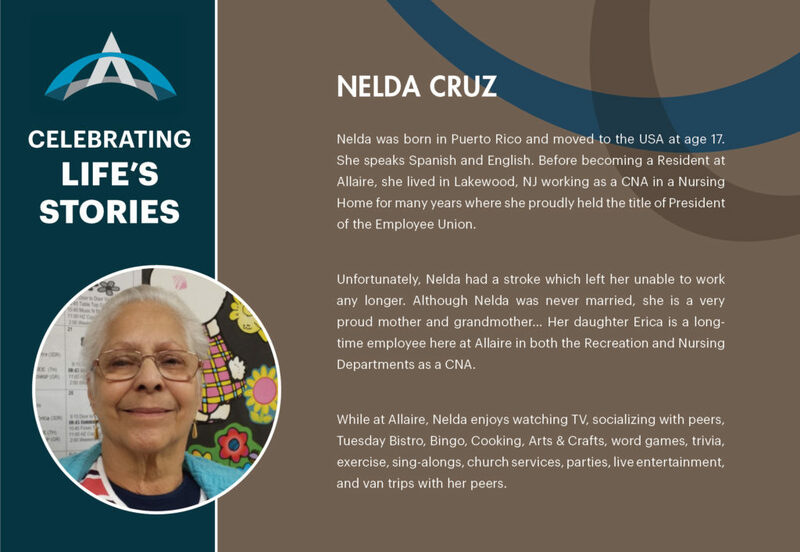 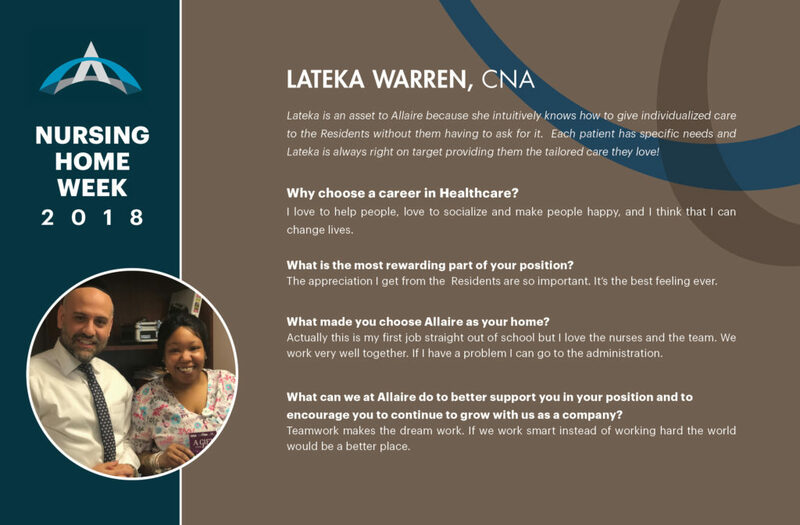 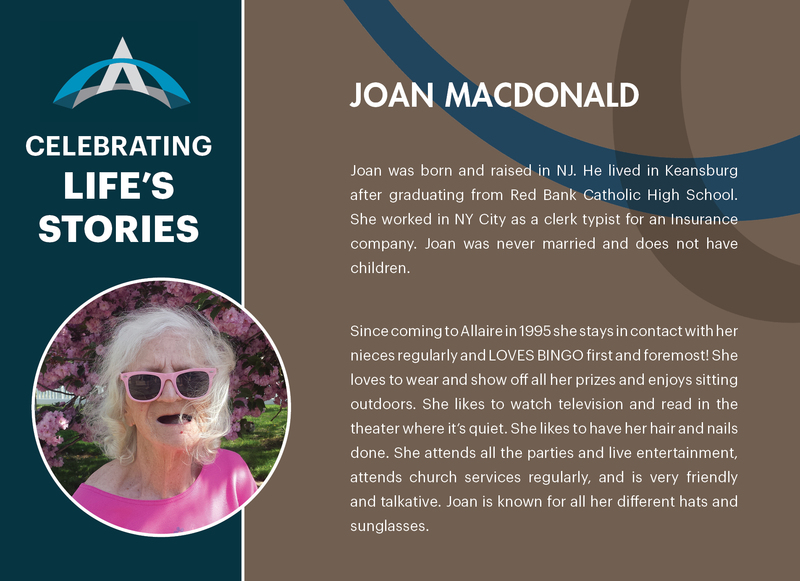 In observance of this year’s theme, “Celebrating Life’s Stories”, Allaire Rehab & Nursingpays homage to the diverse set of perspectives that residents and staff bring to their everyday interactions. 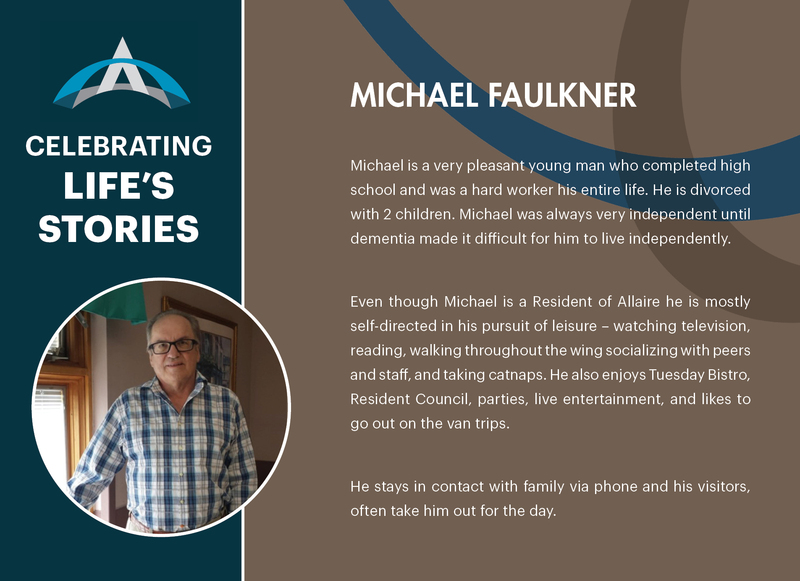 We will be featuring a different resident and staff member each day throughout Nursing Home Week. 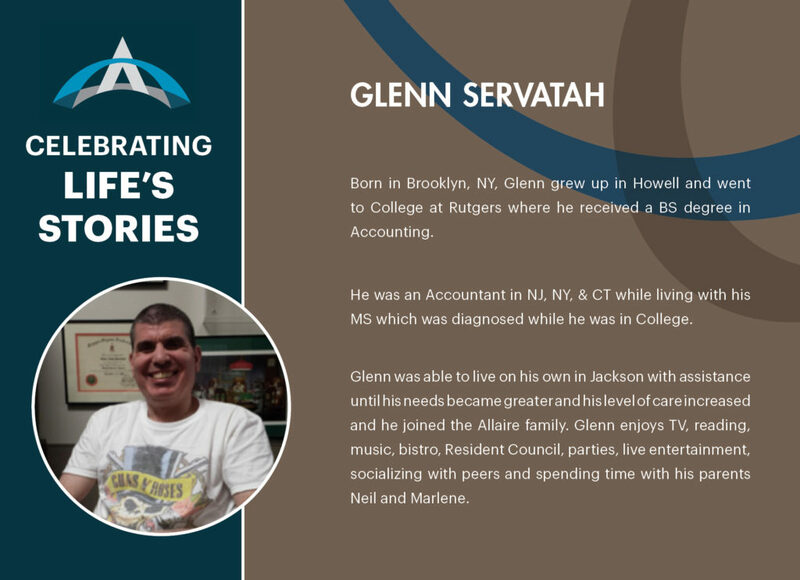 “We are proud to recognize the life stories of the many individuals in our center and community,” said Jesse Ifrah, Administrator. 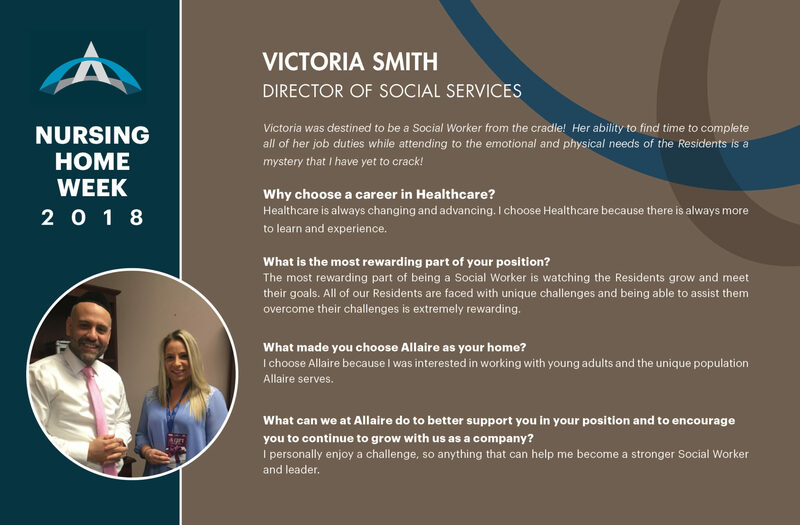 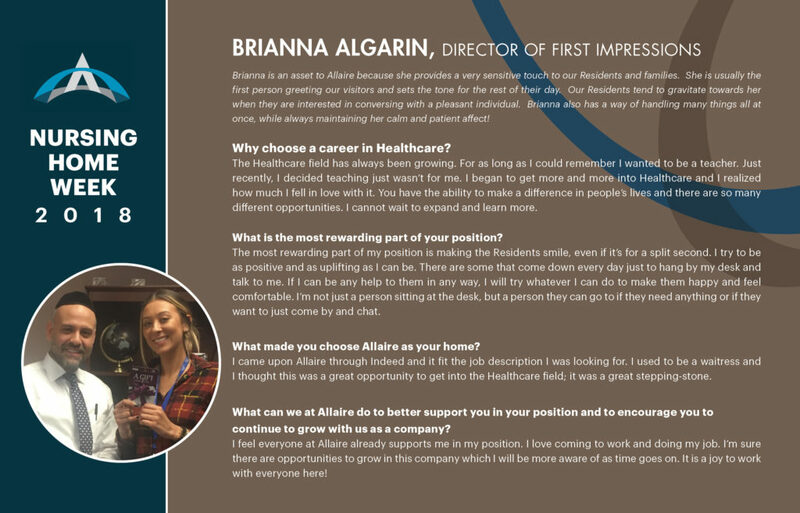 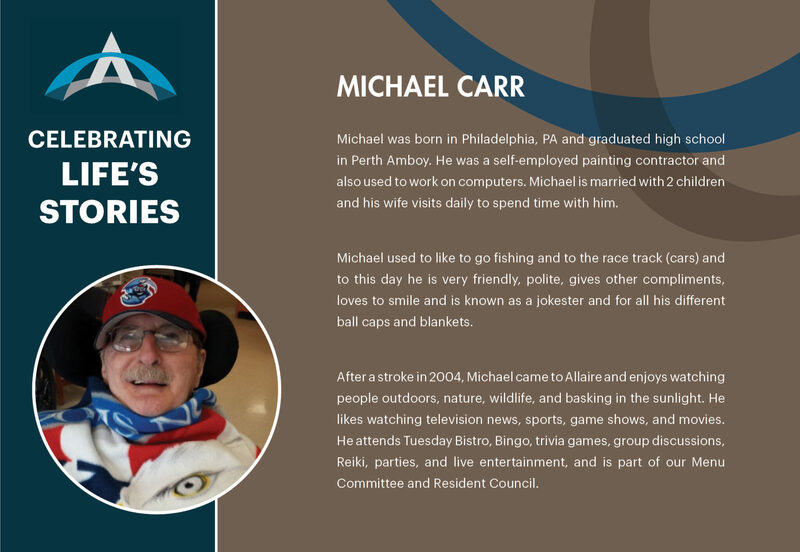 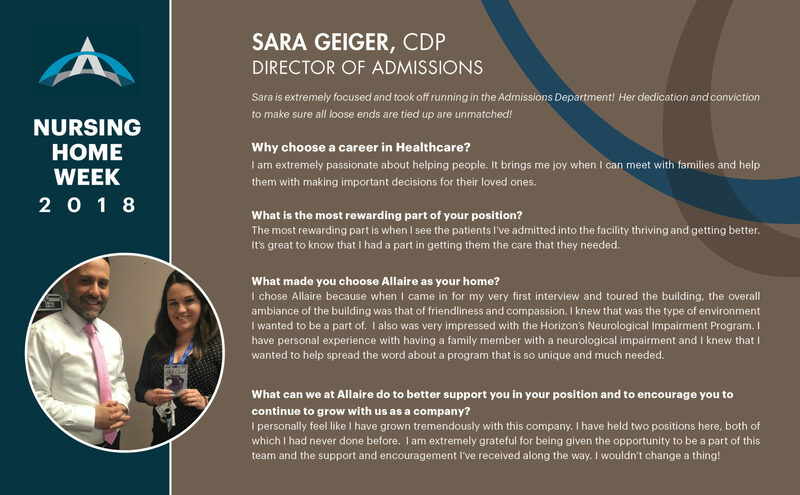 “This year, we share these unique stories through personal interviews and honor the unique contribution each person makes to Allaire Rehab & Nursing.